RELIEF is an exhibition of large-scale relief prints by various artists, printed on a substrate made from cotton fabric at Warren Editions. The show will be on view until 26 May 2017. WHAT IS A RELIEF PRINT? In order to make a relief print, the artist sketches a composition on a block of material and then carves away pieces from the surface, leaving a raised area which will receive the ink. A roller is then used to apply ink to this raised surface and the image transferred to paper with a press or by hand burnishing or rubbing. Since the recessed, cut-away areas do not receive ink, they appear white on the printed image. Relief prints are characterised by bold dark-light contrasts and an impress into the paper of the inked lines. The primary relief techniques are woodcut and linocut. Woodcut is the earliest and most enduring of all print techniques, in which a block of wood is used as the matrix. While woodcuts were first seen in ninth-century China, Western artists have made woodcut prints since the 14th century. They were originally conceived as religious icons and sold as souvenirs of a pilgrimage to some holy site. Woodcut soon became a popular medium for the mass distribution of religious and instructive imagery in Europe, not least through books since, with the invention of movable type, the woodblock matrix could be set in the same press with the text and both text and image printed together. In the 17th and 18th centuries, woodcuts were developed in Japan to an exceptional level of artistic achievement, what is known as the ukiyo-e period or style. Linocuts are made using a linoleum floor tile as a matrix. The linoleum is handled in exactly the same way as a wood block but, since it does not have a wood grain, the surface of the resulting print will have less texture. The material takes all types of lines but is most suited to large designs with contrasting tints. Linocut has become a rich source of expression for South Africans – originally because of its accessibility and, looking to the future, because of its established tradition. The works in RELIEF reveal a variety of ways to work with relief printing. 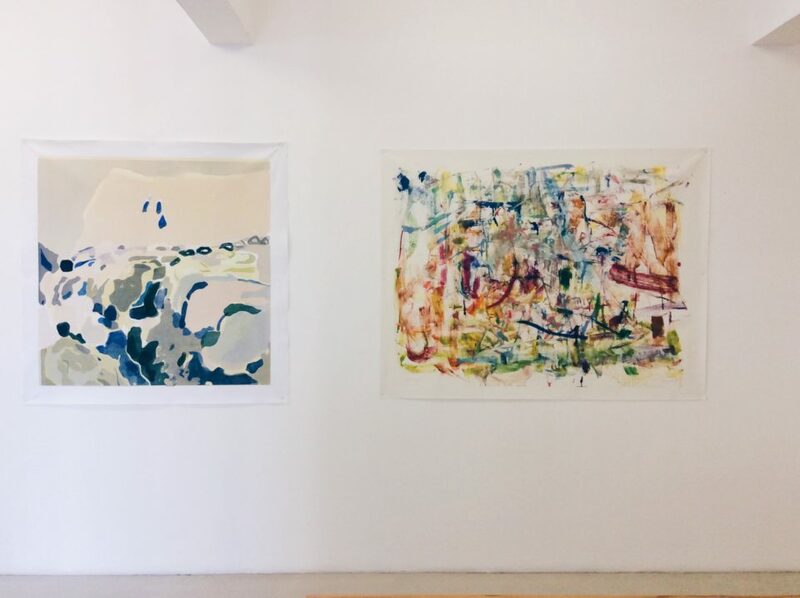 The choices made about how each work is produced are guided by the sensibility and working methods of the artist as well as the vision of the collaborating printer. 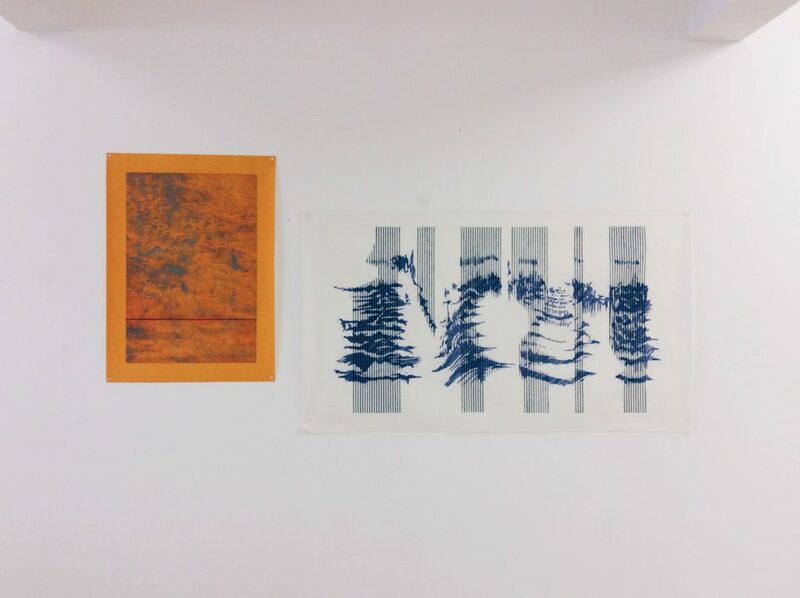 For instance, in the case of Katherine Bull’s work, Food Inc., the monotype technique has been combined with pieces of linocut, carved to resemble painterly marks, and then inked up in different colours and printed over the monotype. The interplay between the gestural monotype marks and the same gesture recreated by a mechanical process in the linocut elements creates tension in the work. In the work by Peter Eastman, Deep Chine IV, three different techniques have been employed: first, the intense turmeric yellow was printed onto the substrate from a PVC plate with the ink flat-rolled. Two more plates have then been printed onto the colour – a carved wood block (blue marks) and a drypoint plate (red marks). The peculiarity of this work is that the wood block has been inked up and wiped as an intaglio plate would be – meaning that the areas that print are the carved areas, rather than the other way around. The relief process has been turned on its head in this work, resulting in a very delicate rendering of marks. The grain of the wood is also clearly visible as a result of the intaglio inking/wiping process. The works in RELIEF reveal a variety of ways to work with relief printing. 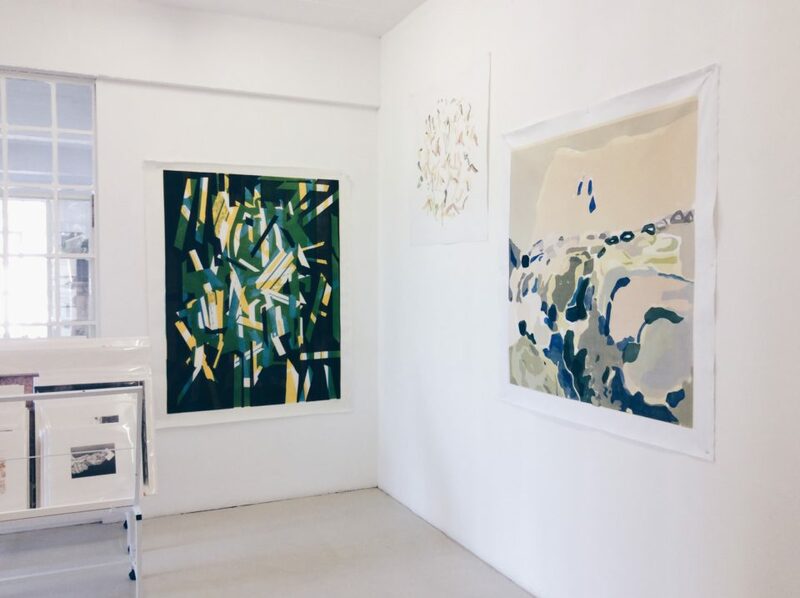 The choices made about how each work is produced are guided by the sensibility and working methods of the artist as well as the vision of the collaborating printer. 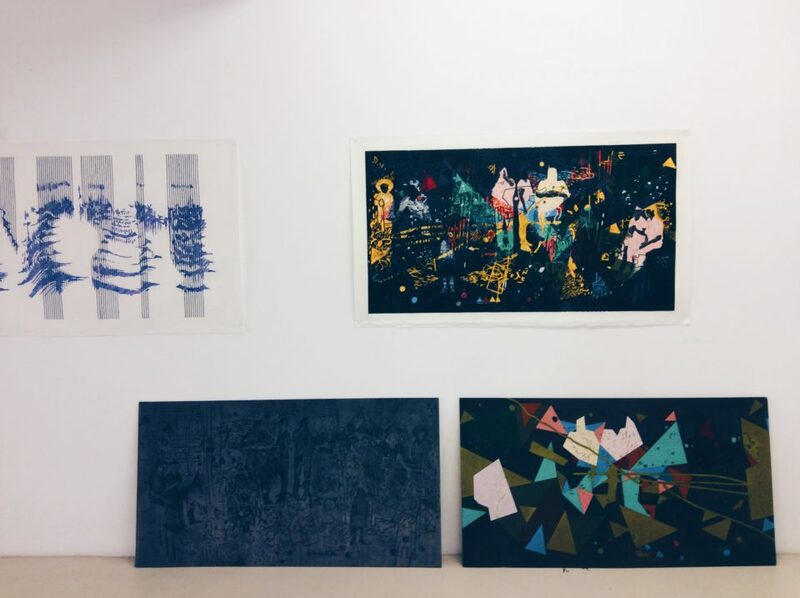 The works included in RELIEF are extraordinary examples of the intricacy and complexity achievable with relief printing, and are indicative of the pride the studio takes in defining the limits of various printmaking techniques. The works are also expansive in terms of their scale, which is made possible by the very large press at Warren Editions – the largest in the Southern hemisphere. Vulindlela Nyoni, Gabrielle Raaff, Daniella Mooney, Katherine Bull, Peter Eastman, Connor Cullinan, Christo Basson.